The result of recent local elections proved that the rumors of Moldova being captured are false. 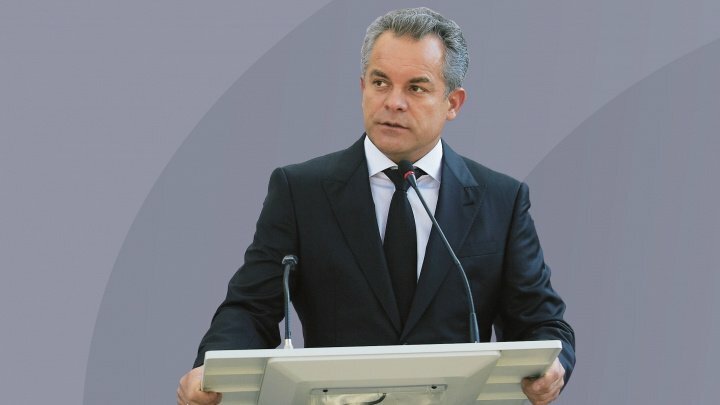 The declaration was made by leader of PDM, Vlad Plahotniuc, in an interview given for tribuna.md. Vlad Plahotniuc has mentioned that Moldova has never before seen such political balance. "The irony at the moment is that the opposition gained two important positions in the state in the moment when some speak of Moldova being a captured state" leader of PDM said. This rumor, according to Vlad Plahotniuc, is false. As the far-left opposition won the presidential elections, while the far-right opposition the mayoral ones. Furthermore, the elections from Chisinau brought more balance to the state, while the opposition now gained the chance to prove what it is capable of. Leader of the democrats mentioned that those who screamed of elections being unfair, did not appreciate the way they took place, but were pleased by their results. Vlad Plahotniuc also claimed that the Government will help Chisinau, regardless of who is the Mayor. Both the Government and City Hall belong to the citizens, therefore it is irrelevant that the Mayor belongs to the opposition. Questioned what will the governance do with PAS and PPDA, who claim that they will never make an alliance with PDM, Vlad Plahotniuc claimed that he would act the same if they were the opposition. According to the official, it would be a political suicide for the opposition to say that they will make an alliance with the ruling party. As they would automatically lose part of their supporters. The declarations that alliance with PDM will never be made are politically correct. Moreover, according to Plahotniuc, it would be a disadvantage for the opposition and the ruling party if an alliance was be made before the elections. Recently, United States Ambassador to Moldova, James Pettit declared that after the general elections, the creation of a pro-European coalition will be inevitable.